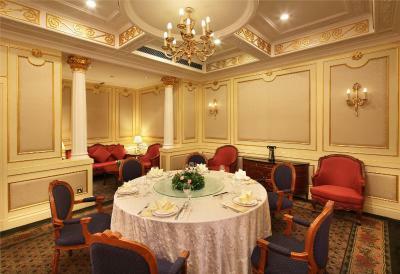 Lock in a great price for Jin Jiang Hotel – rated 8 by recent guests! Location and location. 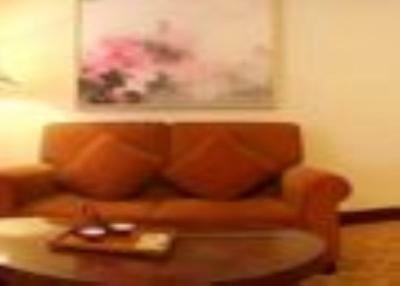 Close to entry public transportation like subway station, and walking distance to shopping street . I asked to book in early, 1:00. Got to the hotel at about 2:00. The room was not ready and I waited for over one hour for them to prepare it. 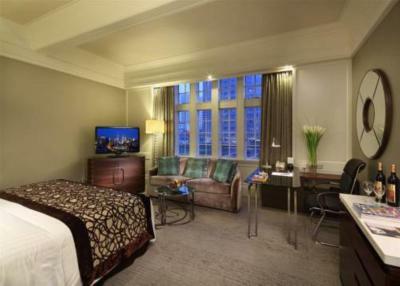 There was confusion about the room rate, they could not find my reservation and charged me $40 more as a result. To add insult to injury they finally took me to a dark room facing a wall. They knew I was unhappy and changed it for a garden view which would have been standard at the higher rate. This is the third time I have said here in 7 weeks. There always is problems with the room not being prepared. Further, for those who are overly fastidious there are always rugs that are ripped and dirty, water damage in the bathrooms and just signs of wear and tear. The hotel is not up to the standard I would have hoped. That being said, the location and grounds are wonderful. Just wish they would be more efficient and up date what needs to be redone then the hotel would be world class. 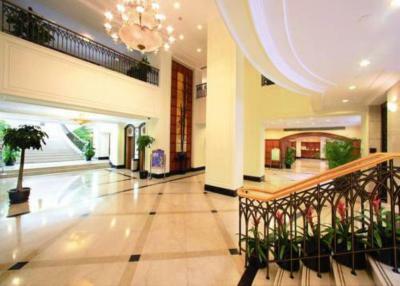 The hotel is old but with that goes charm which is what I was seeking. The staff were bilingual and very helpful. Great location. 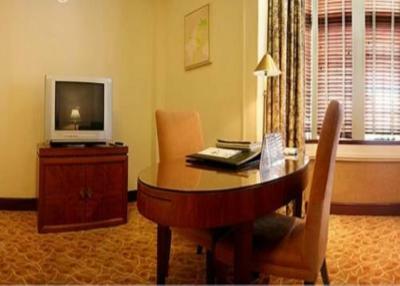 Right in the city center and very convenient access to the metro system. 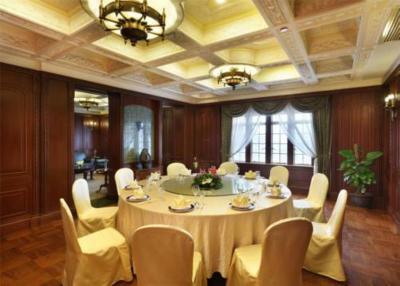 Use to be the only luxury hotel of Shanghai for several decades. Facilities are little bit old compared to those new ones but very comfortable and the staff are all friendly and helpful. More importantly, the cost-performance is perfect. Staff are very friendly and know their stuff. Internet is very good. I did not get the breakfast as you have all that Shanghai has to offer for breakfast right outside the gate. I have travelled to Shanghai for over 10 years and lived there for 3 years. 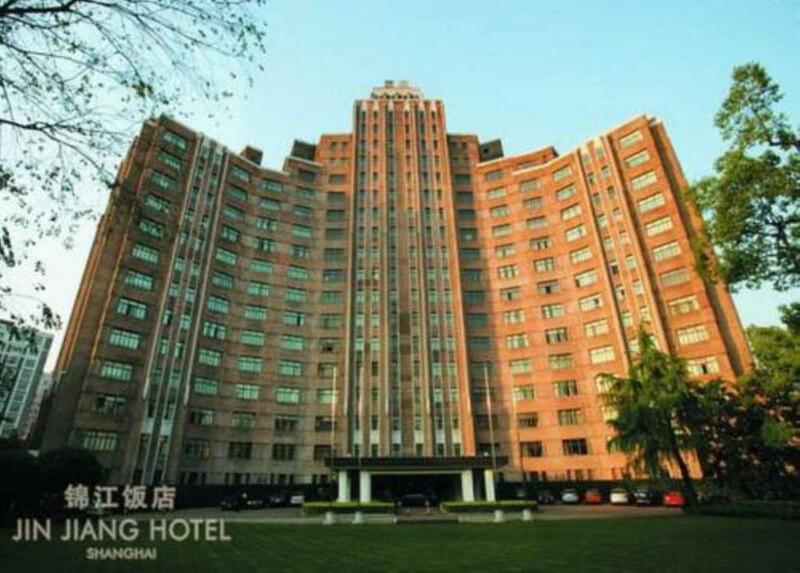 Ive always kept an apartment but not for a year now so this is the first visit i have stayed in a hotel since I first came here (that time I stayed at Jin Jiang but North Building) and there is no better location than Jin Jiang, I will definetley stay here again just for the location, however make sure to stay in the North Building. South Building stay is 7,5 review North Building would be 10/10 no doubt. the location of the hotel is great. 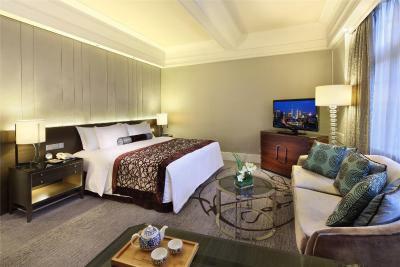 It's very close to the metro and some major shopping areas, but because it's on a side street and situated in its own grounds, the hotel is very quiet and peaceful. The staff worked hard to help us, even if they weren't always very effective. Good staff and great location. Room is comfortable. 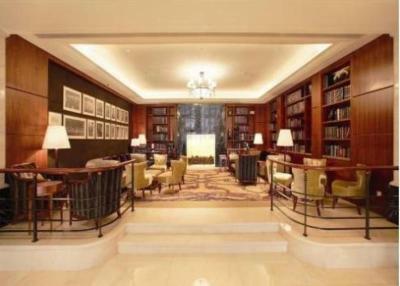 The lobby is decent and old-school. In the heart of Shanghai’s Former French Concession, the historical Jin Jiang Hotel features European architecture and luxurious rooms. 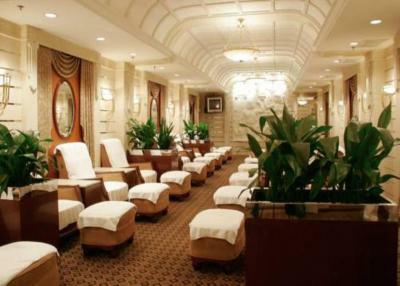 It has a heated indoor pool and 5 dining options. 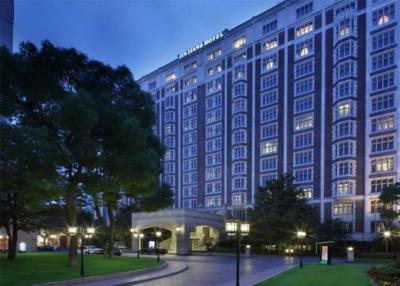 Jin Jiang Hotel is located near Huaihai Road, also known as the “Champs-Elysées” of Shanghai. 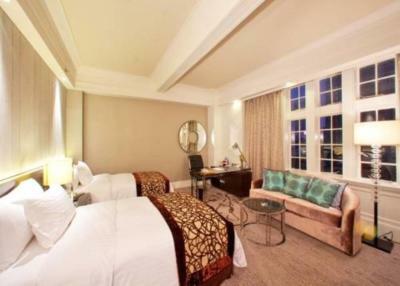 More shopping choices are available at Xin Tian Di, which is within a 10-minute drive from the hotel. Spacious and bright, rooms at Jin Jiang feature classic wooden furnishing. 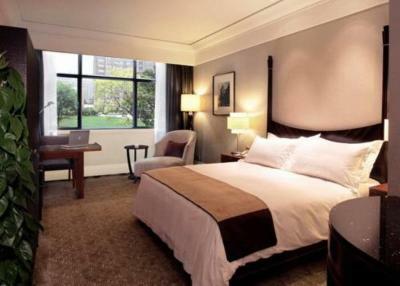 Views of the hotel’s landscaped garden can be enjoyed from the large windows. 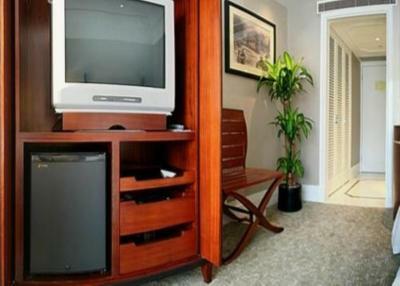 Each room comes with a cable/satellite TV and mini-bar. 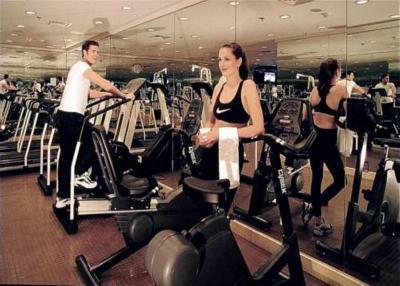 Guests can exercise at the fitness center, enjoy a relaxing massage or simply lounge at the sauna. 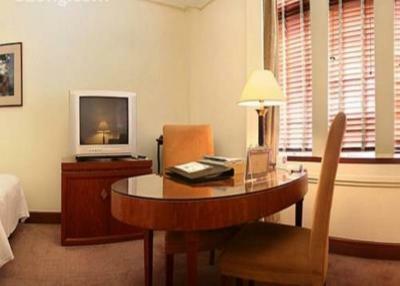 For convenience, the hotel also provides free parking and a helpful tour desk. 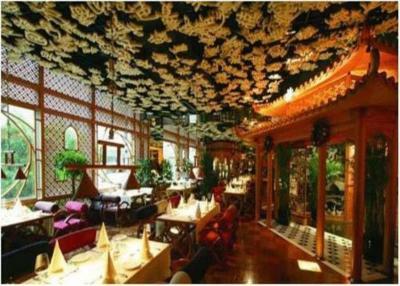 Sichuan cuisine and fresh seafood are served at the Fortune Palace Restaurant. 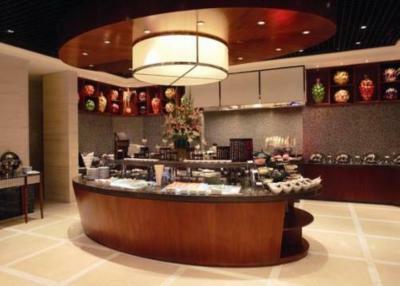 Snacks, pastries and tea are offered at the Dream Cafe, which also features live piano music. 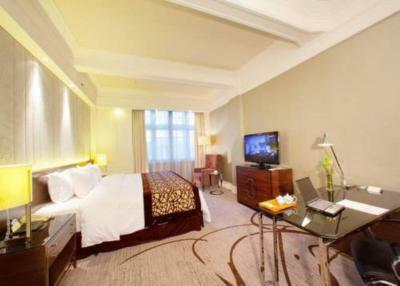 When would you like to stay at Jin Jiang Hotel? Decorated in art-deco style, it has a 42-inch flat-screen TV and separate living room with sofa set. 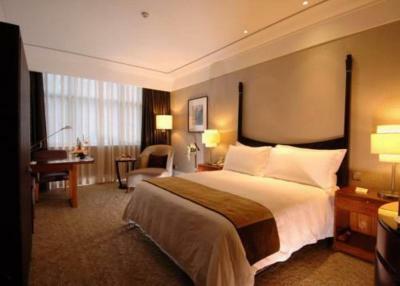 Featuring modern decor, air-conditioned room includes a flat-screen satellite TV and a minibar with free bottled water. 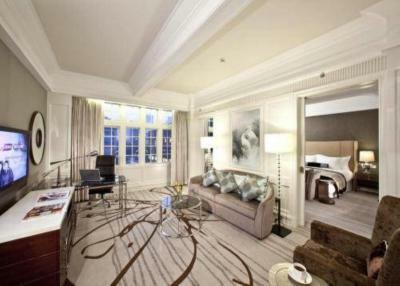 Each has a private bathroom with a bathtub and bathrobes. Features views of the hotel's garden and free newspapers. 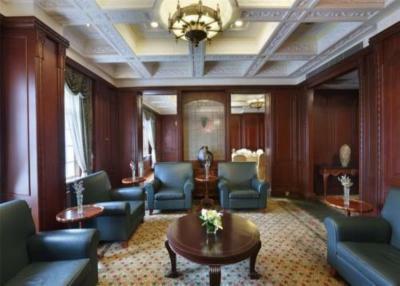 Decorated in art-deco style, it has a 42-inch flat-screen TV and sofa set. This double room has air conditioning, a mini-bar and seating area. 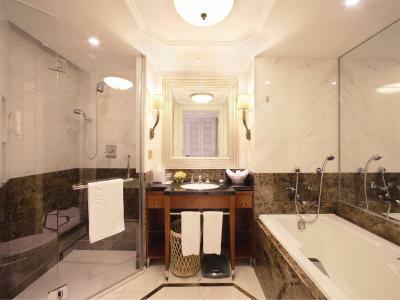 The private bathroom features a bathtub and a shower. The Jin Jiang Hotel Shanghai is one of the most prestigious five-star hotels in downtown Shanghai with a profound history of 80 years. 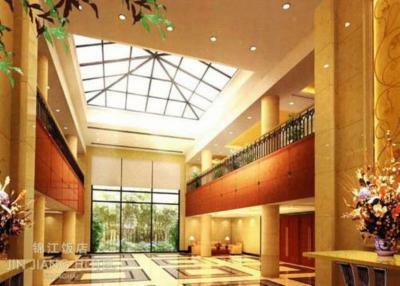 Since opening its doors, the hotel has received more than 500 state leaders and government heads. It covers an area of more than 30,000 sqm and overlooks 16,500 sqm of greenbelt. 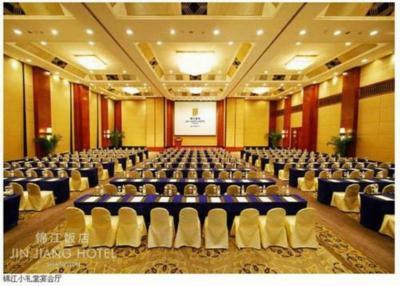 Set off by two beautiful gardens, three buildings of the hotel are well-known for their classic and elegant European architecture style, and have been evaluated as architectural heritage at city level for preservation. 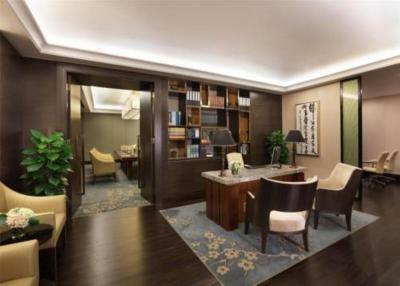 House Rules Jin Jiang Hotel takes special requests – add in the next step! 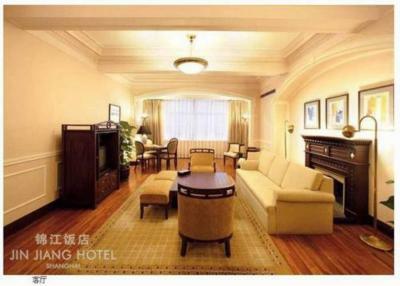 Jin Jiang Hotel accepts these cards and reserves the right to temporarily hold an amount prior to arrival. Lobby was not easy to find, as they have several buildings. We arrived to the main lobby first with luggage from airport and were not offered a buggy lift and had to walk all the way with suitcases to another building, which was over 5 minute walk. I think service could have been better. Not all staff speaks English. Great location - in the heart of FFC. Not a luxury hotel, but good value for money. 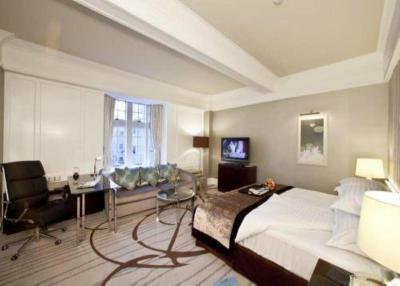 Big rooms and comfy bed. staff seems to be quite blur at times and not very friendly at the reception. location was good, and the hotel is quiet. Breakfast is more Chinese/Asian style than Western style, but plenty of choice and good quality of food. 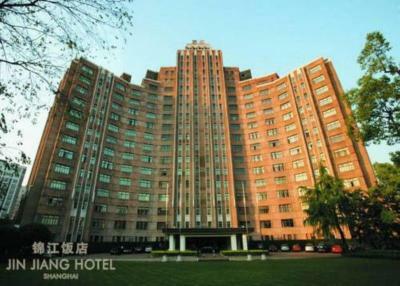 My favorite hotel in Shanghai, great central location but quiet big rooms (some with garden views). 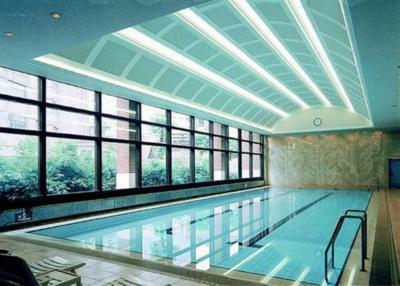 Good fitness center with swimming pool. 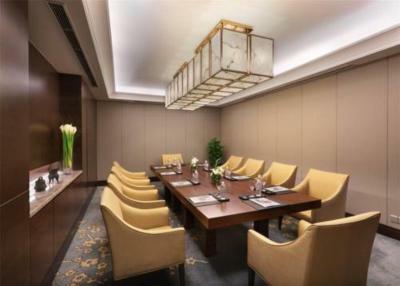 Walking distance to subway stations, department stores, shopping areas, restaurants, many office buildings. 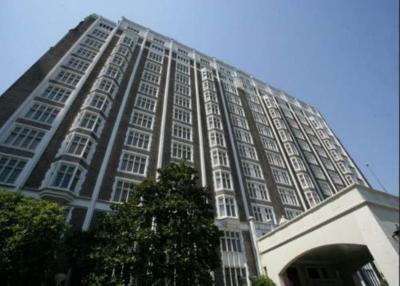 Many touristic places are also walking distance : former french concession, people's square, jing'an temple, opera, etc. There is construction happening at the hotel until the end of January but this is not made clear when booking or when checking in. Which meant I was woken by loud banging at 8am during my stay, this was during the new year vacation weekend. After complaining the front desk told me there is a notice in the room, I looked and its basically hidden in the corner and the notice says the noise will be between 9:00-17:30. I made a point of telling them that the construction noise started earlier and their only suggestion was I should call the front desk when it happens again and they will speak with them, not very good when I don't want to be woken early during my vacation. However they did agree to move me to a different room where the noise level was slightly better. For the price and the rest of the positive points such as nice rooms and great location, the lack of care about this issue really disappointed us. For example a simple explanation on check in and perhaps complimentary breakfast or a drink in the cafe since they are disturbing you early would have improved my experience. Another point is that housekeeping always rang the bell in the morning, as early as 9am, I think this is too early and disturbs guests. Also I used my British visa card to hold the deposit and then paid with another card and my deposit was not released for nearly a week. 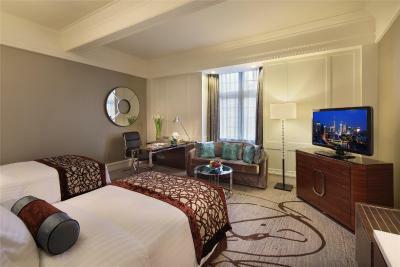 Great bathroom and comfortable bed and room. 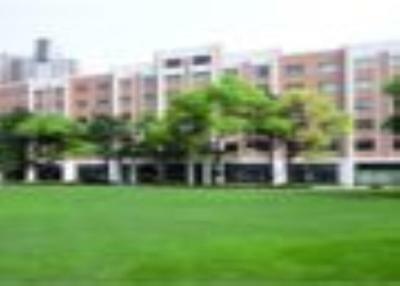 Courteous staff and brilliant location close to metro and shopping. Nearby convenience stores for water etc also we were able to order food to be delivered to the reception. The breakfast staffs were not very nice from cooks to server especially the hot food cook who was very rude. 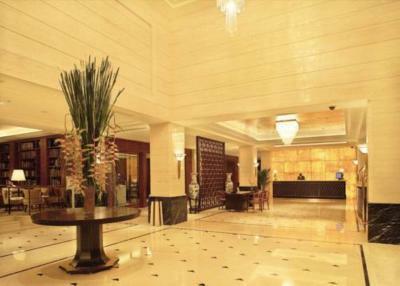 The rest of hotel staffs are wonderful from front desk to clean staffs. No air conditioning. Told it gets turned off in Autumn and to open our windows. Still way too hot and humid. 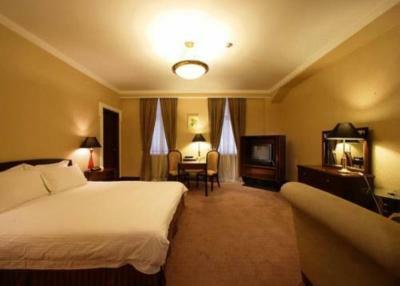 Nicely appointed and comfortable room. Room service very good each day. 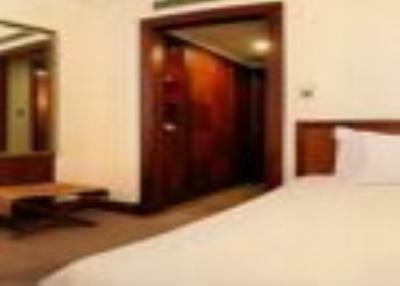 There are two buildings in this hotel, but it was not clear indicated on booking confirmation sheet. It was hassel when got wrong building at check in. The water was not running away in the shower and thus flooding the complete bathroom. The safe in the room did not function. The breakfast is very expensive and choice is limited. The location is fantastic in the old downtown of Shanghai. The art deco atmosphere. And the beds are fantastic.